Expand your photography skills and explore the stunning Italian countryside on a Tuscany photography holiday in 2019. There is no better way to unleash your creativity and fine-tune your skills than immersing yourself. You’ll be in beautiful surroundings, exploring your passion with like-minded people. 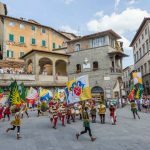 Lillian Spibey Photography has organised the ultimate Cortona photography holiday. On this exciting trip, you can spend five days learning how to capture the beautiful landscapes, medieval cities and picture-perfect piazzas. 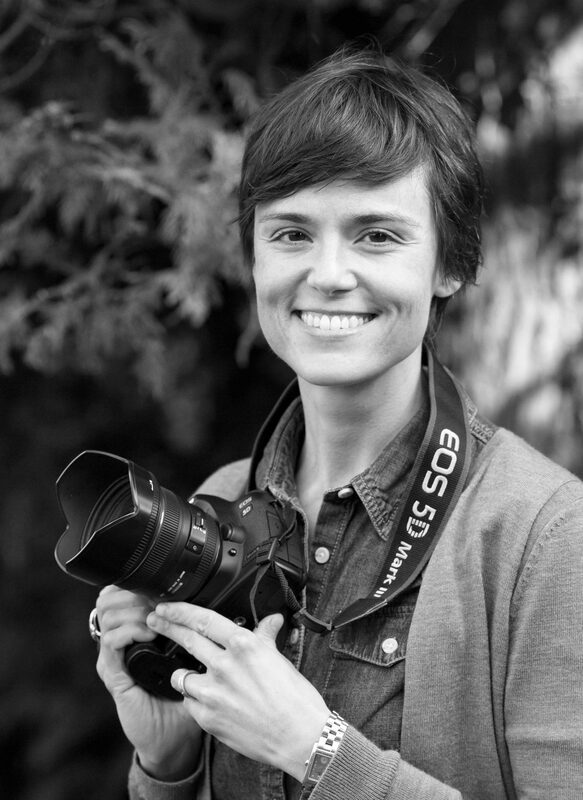 Lillie is expanding on the overwhelming success of her previous Tuscany photography holiday and has teamed up with close friend and Cortona local Charlie Mitford to plan the trip of a lifetime for eight budding photographers. Speak to Lillian for dates and information on 07969 466 572 or send a message via the Contact Form. 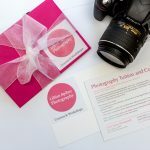 You can enjoy photography workshops with Lillie in the mornings. Here you will be focusing on camera mechanics and composition. 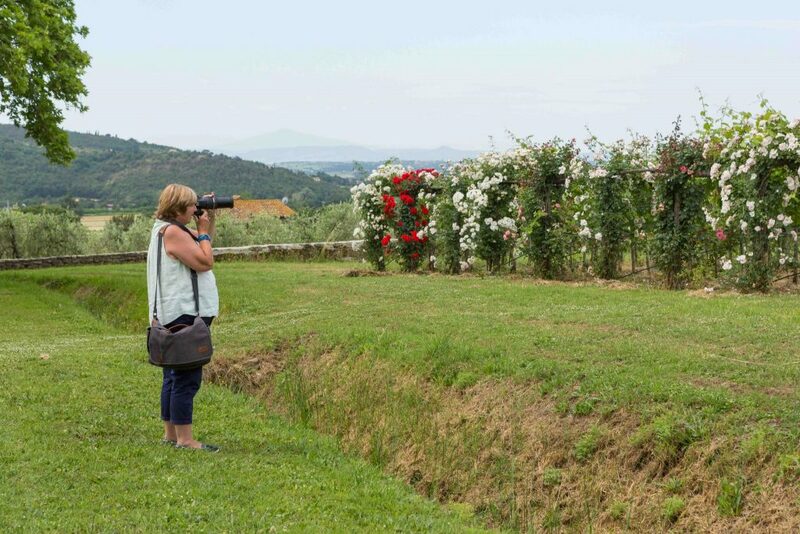 Afternoons during the Cortona photography holiday are for exploring the local areas and putting the skills you’ve learnt in the morning into action. The stunning area of Cortona is a quaint Tuscan town, perched on the edge of the foothills of the Apennines. 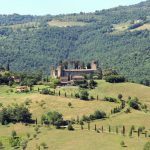 It offers unbelievable views over the Val di Chiana toward Montepulciano. 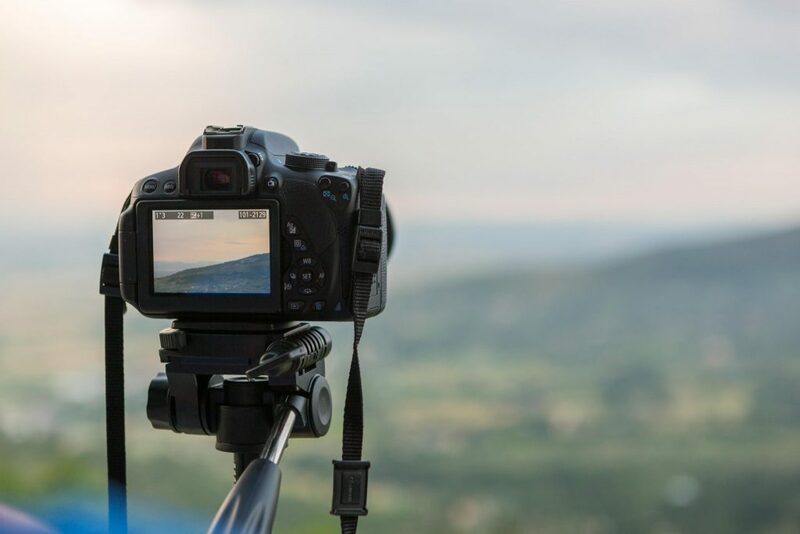 It is perfect for learning new photography skills and capturing the beautiful landscapes in all their glory. The city is enclosed by stone walls that date back to Etruscan and Roman times and offer some fabulous subjects for taking beautiful photographs. During this Cortona photography holiday, you will spend four nights in Hotel Italia, a luxurious 15th century converted Palazzo. Ideally located in the centre of Cortona, it is just a stone’s throw from the main square, Piazza Della Republica. This is the ideal base for exploring and capturing the stunning landscapes of Tuscany. A lavish breakfast will be served on the terrace restaurant every morning, which offers breathtaking Val di Chiana views from Lago Trasimeno and Montepulciano to the Senesi hills. Val di Chiana, also known as Valdichiana, is a stunning valley in Siena and Arezzo. It is known for its incredible sunrises, deep-rooted history, and delicious local wines. 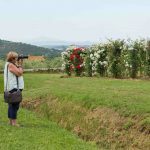 In addition to seeing the beautiful sights of Tuscany and building on your photography skill set, the Tuscany photography holiday schedule is also packed full of delicious local food and wines. You will visit some wonderful local eateries, including La Loggetta, Dardano’s Trattoria and The Vineyard’s Michelin acclaimed restaurant. Tuscany is famous for its local wines, and there will be plenty of opportunities to try some, including a sunset wine tasting at the stunning Teniminti d’Allessandro.